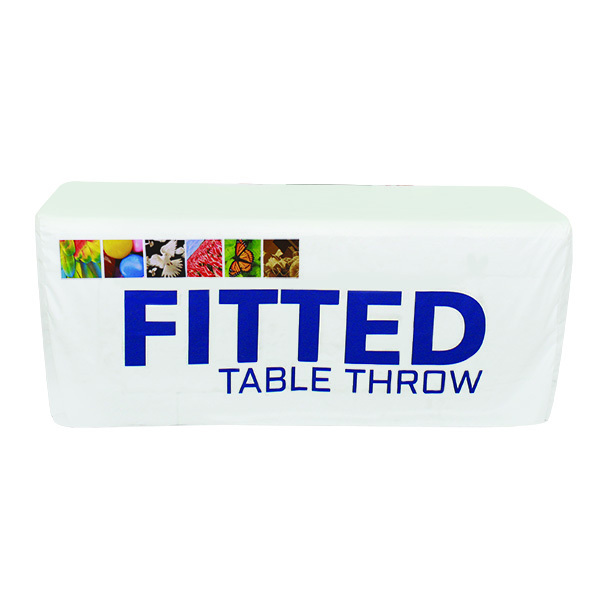 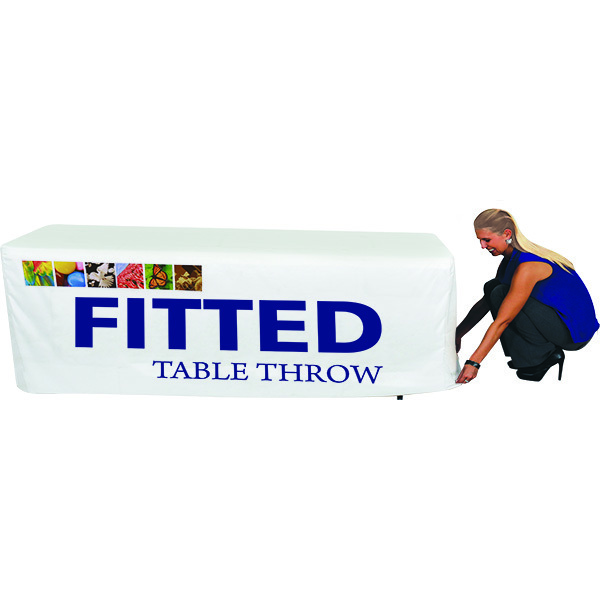 Fitted table throws with custom dye-sublimation graphics provide excellent color matching for most logos/artwork and a nice tight fit around the table, great for small exhibits. 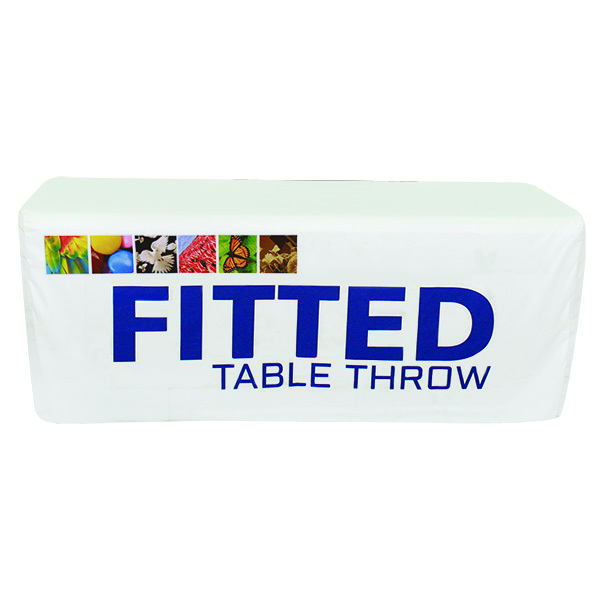 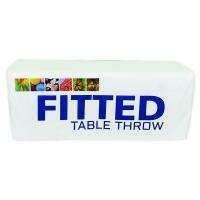 This fitted throw comes in 3 standard table sizes (30" height), 4', 6' and 8' lengths. We have also added a NEW 4' Demo Table Size, which is a 36" tall table covering. 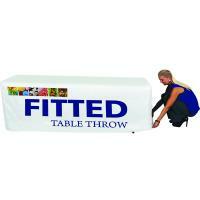 These are full throws that cover all 4 sides of the table to the floor.